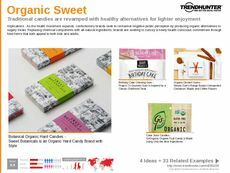 Find Better Ideas, Faster ® with a custom organic snack trend report, our PRO Dashboard and 80+ categories of premium trend reports. 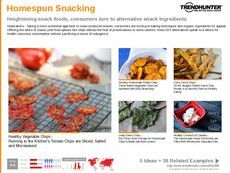 The Organic Snack Trend Report uncovers the most recent examples of health snack options, both on the market as well as DIY solutions. 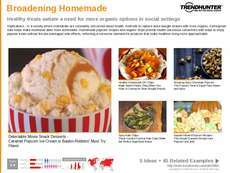 The rise of organic snacks caters to the growing number of health-conscious consumers who still wish to indulge in sweet and savory food, but with smaller and healthier portions. 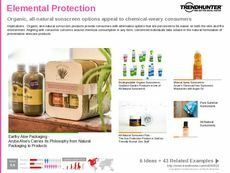 This report will explore the latest organic food snacks, popular ingredients, niche brands as well as snack recipes and pre-made options. This report is catered towards professionals in food product development, grocery store executives, marketers and brand managers. 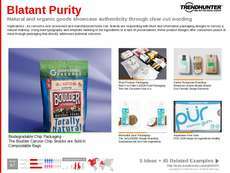 Also, with the rise of organic snacks, package designers and branding specialists can see how these foods are being presented and marketed to desired audiences, as well as to new customers. 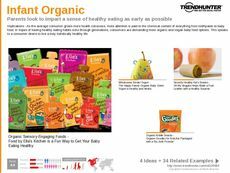 The Organic Snack Trend Report sheds light on this growing sector of the food industry, but more importantly, provides unparalleled consumer insight into the types of snacks that are grabbing consumer attention.